File sharing is deemed necessary to a business’ daily operations. Thanks to the advent of technology as we can now enjoy the convenience brought by a file server and backup server. Let’s take for example a small business in Singapore. Looking closely, the company is making use of several computer units for its day-to-day work. 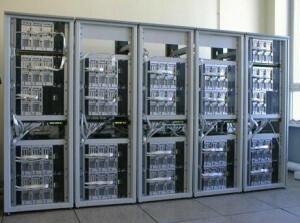 These PCs are all connected or networked to the server, which is the network’s central point. 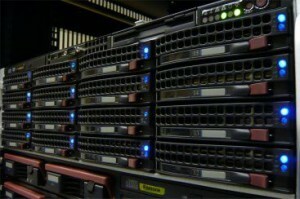 The networked systems, otherwise known as “clients”, can gain access to files and data that are contained in the server. This is what we call as “file sharing”. The contents can include, but are not limited to, files, documents, folders, media, and databases. One of the advantages brought by a Dynaserver recommended in Singapore is that it streamlines file sharing over a network. For this reason, we can now completely eliminate the use of removable media for data exchange. Commonly used external storage devices include diskettes, CDs, DVDs, and USBs. When a person saves a document in his or her PC which is connected or networked to a file server, that particular file is automatically saved in the server. Now this file, since it has been stored in the network’s central point, becomes available to all other PCs that are registered in the network. This is especially convenient when there are a lot of people who need to access that particular file, omitting the need to make duplicates of that file to transfer to other PCs. Anyone who is authorized can access that file from the server anytime. No matter how much computers make work easier and faster for all of us, they also experience downtime due to technical failure. And for every minute that our computers remain inactive, it actually decreases the productivity of our business and no business owner would want that to happen. A file server, functioning as a repository for all files, gives every business owner the peace of mind that in case things get worst and a few computers containing very important files break down, those particular files can still be restored from the main server. For a start-up business in Singapore, purchasing a server might cause a stress on a business owner’s budget as it may be an added expense. Nonetheless, a file server and a backup server are sure to give countless benefits over time. Just like any PC, a file server can also malfunction for some reasons, which is why it is advisable to also have a backup server to act as a support of the main server. It basically functions as a server that duplicates all the contents of the main server, thus the added protection for your company data. Choosing the right server for file sharing purposes or for any other uses can be made easy with the help of an IT expert. Also make sure that the company from which you will be purchasing your server can provide professional tech support to assist you in your IT needs.